STAMFORD — Some people know, the instant they pick up a softball and try to throw it underhand, that they can be good at it. And those watching with a keen eye for talent recognize it at the exact same time. In fastpitch parlance, they are what is known as a natural — someone who can perform this difficult task as though it were an afterthought. The Big Country is currently being introduced to one of these rarities in Stamford freshman Citlaly Gutierrez, with results that are making area coaches shake their heads in disbelief. The Wylie softball team exploded for nine runs over the final three innings Friday to rally past Cooper 12-6 and claim the District 4-5A championship over their new crosstown rival at Cougar Diamond. The Lady Bulldogs trailed 4-2 after three innings and were locked in a 5-all tie through five frames, but a three-run sixth and four-run seventh turned what had been a thrilling back-and-forth affair to that point into a comfortable victory in the winner-take-all district finale. The victory capped a seven-game district winning streak for Wylie, which wrapped up its regular season 13-14 overall and 7-1 in 4-5A play. Cooper, meanwhile, enters the playoffs at 13-16-2 after posting a 6-2 district record. Photos may be purchased for $7 by clicking on the small shopping cart emblem below the lower right corner of the gallery. Our company watermark “BigCountryPreps.com” will be removed from all purchased photos. STAMFORD — Entering Thursday’s District 7-2A matchup at Stamford, Haskell coach Eric Simmons knew that his team no margin for error. 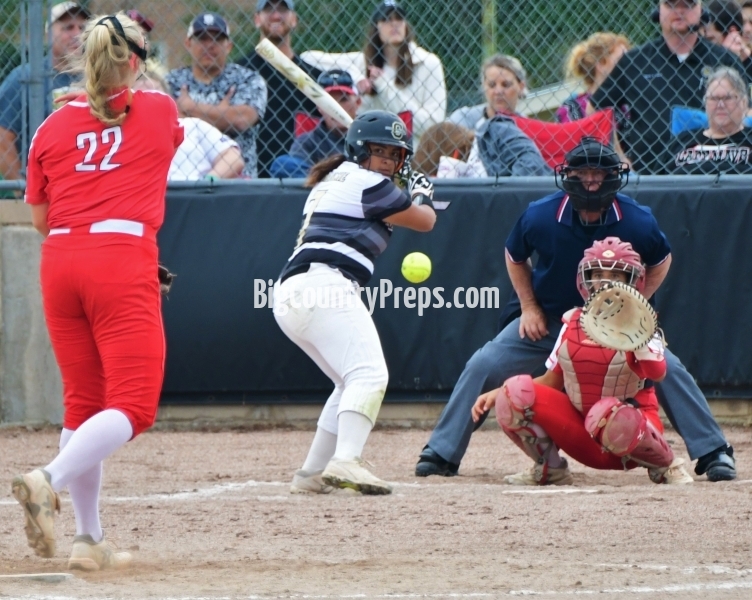 Facing Stamford freshman sensation Citlaly Gutuierrez (24-0-1) who had already struck out more than 300 hitters on the season, the Maidens had to be nearly perfect. They fell just short, losing 2-1 in a well-pitched, well-played game by both teams. 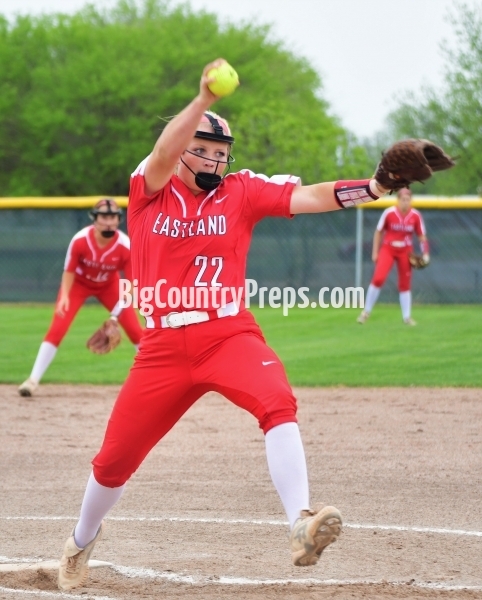 EASTLAND — Two years ago as a varsity greenhorn, Eastland pitcher Brynna Foster had a lot of learning to do. She had the raw talent to pitch. But her velocity and movement had yet to develop fully. Her changeup came on predictable counts, and as a freshman, she still lacked the poise that only maturity can bring. Yet she was still effective enough to help the Lady Mavericks into postseason play, despite her youthful shortcomings. 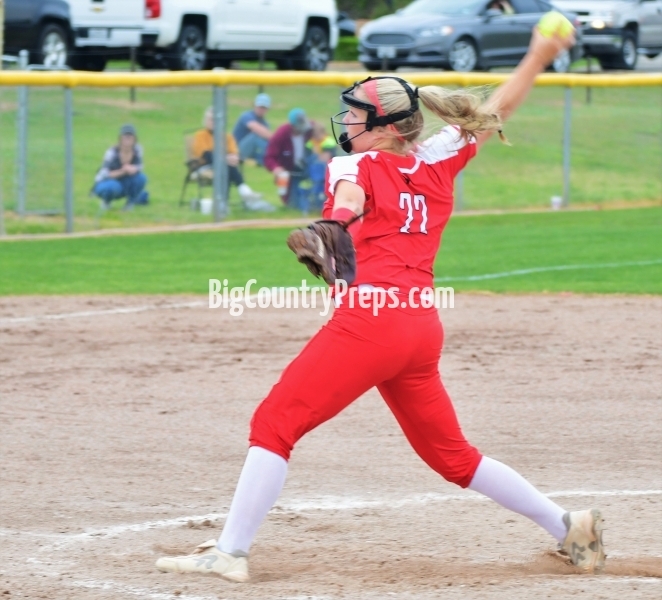 Two years later, with improved velocity, and a rise, curve, screwball, drop and changeup that she can deliver on any count, Foster is not only dramatically better, but she’s currently one of the top pitchers in the entire Big Country. Photos may be purchased for $7 each clicking on the small shopping cart emblem below the lower right corner of the gallery. Our company watermark “BigCountryPreps.com” will be removed from all purchased photos. COMANCHE — For four full innings, the Comanche Maidens looked poised to piece together a season sweep of ninth-ranked Eastland on Tuesday, leading the Lady Mavericks 2-0 heading into the fifth. Plagued by a series of fielding miscues down the stretch, Comanche saw Eastland take the lead for good with three unearned runs over the fifth and sixth frames and escape CHS with a 4-2 win. Kaylen Washington’s success in the circle this season has been well documented during the Abilene High softball team’s historic run to its current 19-1-2 record. The senior right-hander’s emergence as a true and legitimate ace has been the chief storyline in the Lady Eagles’ rise to No. 3 in the Texas Girls Coaches Association statewide softball rankings. But while many have rightly credited Washington and her ability to consistently shut down opposing lineups, the pitcher herself shifts a surprising amount of the credit for that ability to another, less heralded player — her battery mate, Hannah Lopez. The relationship between a pitcher and catcher is one of the most unique in all of sports, and both Washington and Lopez attribute the success they’ve shared — both individually and as part of a successful team — to the trust they’ve built the last two years. DE LEON — One inning made all the difference. A shot in the arm for De Leon. A disaster for Goldthwaite. A seven-run second inning eruption pushed DHS to an important 8-6 win over the visiting Lady Eagles on Tuesday, giving De Leon (17-4, 6-1) a one-game lead over Goldthwaite (8-7, 5-2) for first place in District 9-2A. Micaela Miller and Coral Sparger both had two hits and two RBIs and Kylea De La Torre was 3 for 4 with a double and a triple to lead De Leon, which built and early 7-1 lead before holding on for the win.